Well located and highly visible corner in the heart of Downtown Fresno (Broadway & Ventura). Several nearby revitalization projects are planned for this area including restaurants, breweries and auto dealerships. Just blocks away from AAA ballpark and newly re-opened Fulton Street. Close proximity to Hwy 99 and Fwy 41. 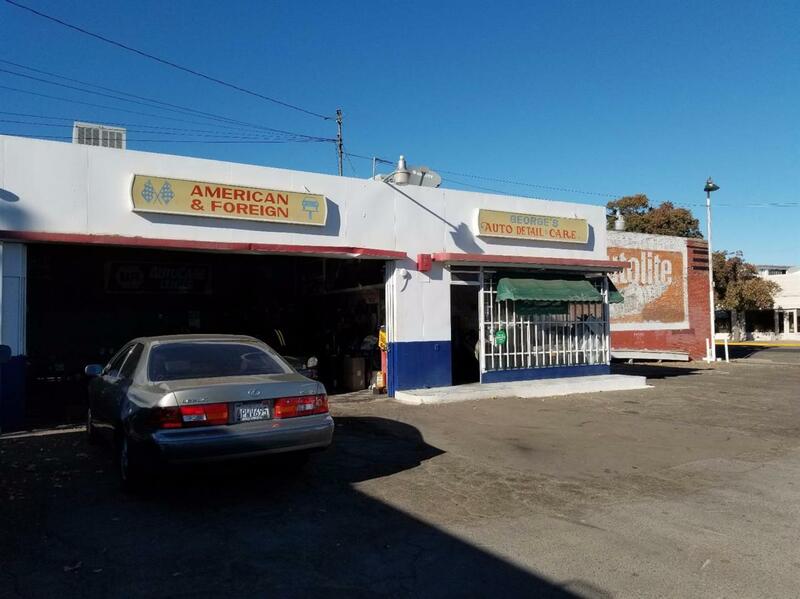 Owner currently runs a successful automotive business (George's Auto Service) for the past 37 years. Wide sliding metal door and a 12 x 24 roll-up. Hydraulic lifts to accommodate 3 vehicles. Customer waiting area and two restrooms. Environmental Certified in 2014. This unique property was formally zoned for houses and offers accessible from 3 sides (ally access). Formally 'Armenian Town', this property is also the site of William Saroyan's birthplace.